MATTHEW DIXON smashed his personal best by more than 40 points to become British platform champion at the Life Centre. The city teenager scored an impressive 494.30 points to win back the title he first won as a 14-year-old in 2014. Fellow Plymouth diver Aidan Heslop finished fifth in a high class field with 413.30 points, just days after he was officially named in Wales’ squad for the Commonwealth Games. Leander swimmer Ben Proud claimed two gold medals in the 50m butterfly and 50m freestyle at the Luxembourg Euro Meet. Erme Valley Harriers’ Sam Trigg and Tamar Trotters’ Mike Wilsmore impressed on international duty in Austria. The pair were part of the England team that travelled to the Vienna Indoor Classic. For triple jumper Trigg it was his first senior international, although he did compete for Great Britain at the 2017 World University Games. He was the stand out athlete in the men’s triple jump in Vienna, winning the event by nearly one-metre with a leap of 15.50m. Meanwhile, Wilsmore almost made the podium in the men’s 1,500m. In a closely-fought race he finished fifth in a new indoor PB time of 3:45.28. He was just a quarter-of-a-second off winning silver. Poppy Tank moved to the top of the early UK under-23 3,000m rankings after smashing her personal best at the Washington-Dempsey Indoor Meet in Seattle, America. Tank knocked 10 seconds off her previous best time to run 9:29.22. Ivybridge Community College student Lewis Widdicombe impressed at the Scottish Junior and Senior Open event held at Glasgow’s Emirates. The South Brent Judo Club member won silver in the junior men’s under-90kg category. Widdicombe was one of seven members of South Brent Judo Club who were named on England cadet or junior programmes. Josh Shipp, Adam Vosper, Max Gregory and Cordelia Gregory were selected for the cadets, while Tom Ingram, Adam Whitfield and Widdicombe named on the junior programme. DAVID KING and Mike Wilsmore impressed at the Muller Grand Prix in Glasgow, which was the final leg of the IAAF World Indoor Tour. King finished fourth in the 60m hurdles, behind Jamaica’s Ronald Levy, American’s Aries Merritt and GB team-mate Andy Pozzi. He clocked 7.74 seconds. Just days before King had been confirmed in Great Britain’s team for the World Indoor Championships having finished second behind Andy Pozzi at the British Championships. Meanwhile, Tamar Trotters’ Wilsmore set a new personal best in the men’s 1,500m. Wilsmore finished eighth in a strong field in a time of 3:42.26 minutes. He had finished fourth at the British Championships earlier that month, just missing out on a medal by 0.18 seconds. Sam Trigg also finished fourth in the triple jump at the British Indoor Championships. Elsewhere, City of Plymouth athlete Poppy Tank lowered her 3,000m personal best again at the MPSF Championships in Seattle, America with a 9:26.29 run, while Oliver Smart won the South West Schools’ intermediate boys’ title at Stover. 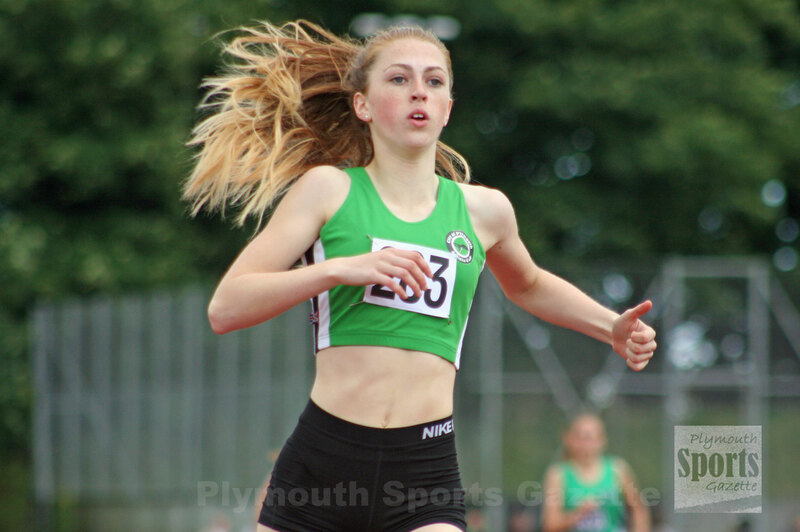 City of Plymouth athlete Sammie Harris set a new personal best on her way to a top five finish in the under-17 long jump event at the English Indoor Athletics Championships. She leaped 5.71m at the age group event in Sheffield, which was 26cm further than her previous best mark. Medical student pentathlete Kerenza Bryson represented Great Britain at the UIPM World Cup event in Cairo. She and fellow Plymouth pentathlete Myles Pillage both claimed silver medals at the second GB National Ranking Competition of the year in Bath also that month. Matthew Dixon secured a top five finish at the FINA Grand Prix in Rostock. Competing against some of the world’s best men’s platform divers, the 17-year-old had to progress through the preliminary round and semi-finals to reach the final in Germany. Earlier in the month he had been confirmed in England’s squad for the Commonwealth Games, alongside Tom Daley. Fellow Plymouth diver Aidan Heslop produced an impressive performance to win the men’s platform event at the Armada Cup, just edging out Dixon in a fine exhibition of diving. In swimming, Leander’s Tom Fannon won a silver medal at the BUCS Swimming Championships in Sheffield. 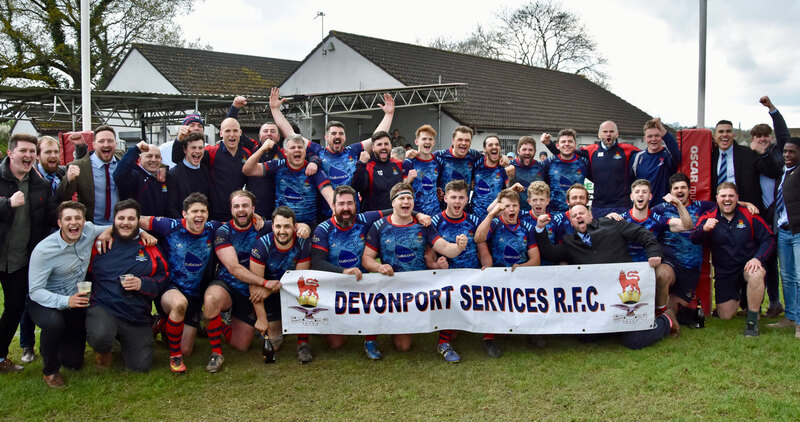 In rugby, Saltash retained the South West Counties’ Senior Vase title by beating Somerset Premier Division leaders Gordano 32-21 away, while OPMs were forced to settle for third place in Devon Two after narrowly losing 8-5 to North Tawton in a promotion-decider at King George V Playing Fields. 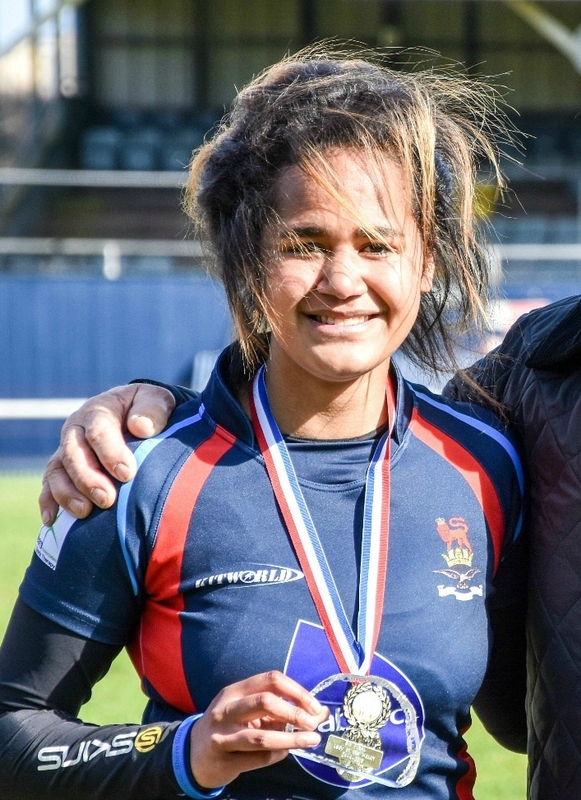 Former Devonport Services player Lagi Tuima was handed her first Women’s Six Nations start when she lined up for England against Scotland in Glasgow. She marked the occasion with a try as England won 43-8. Plymstock School pupils Max and Cordelia Gregory both returned home with gold medals from the Judo Scotland Cadet Open held at the Emirates Arena in Glasgow. Plymouth Argyle enjoyed an unbeaten month with victories over Blackburn Rovers, Shrewbury Town, AFC Wimbledon, Oxford United and Bradford City. Plymouth Swallows youngster Ruby Stacey became English espoir champion for the 12/13 age group. She also won an individual gold medal on the bars, silver on floor and bronze on beam at that event held at Redbridge Sports Centre in Barkingside, near Ilford. MARCH might have started with the ‘Beast from the East’ that caused havoc around the country, but there were still plenty of hot sporting performances that month. Plymouth’s David King, representing Great Britain, reached the semi-finals of the men’s 60m hurdles at the World Indoor Championships in Birmingham. Later in the month, King and fellow Plymothian James Arnott warmed up for the Commonwealth Games with encouraging displays in tough conditions at the Queensland International Track Classic on Wednesday. Hurdler King handled the windy conditions well on his first outdoor outing of the year. He finished second in a strong men’s 110m hurdles field, beating international team-mate and world indoor champion Andy Pozzi in the process. Para-athlete finished third (first T46 athlete) in his 100m race in 11.87 seconds. Another Plymouth athlete, Neal Edwards, finished fifth in the men’s 400m at the European Masters’ Indoor Championships in Madrid. 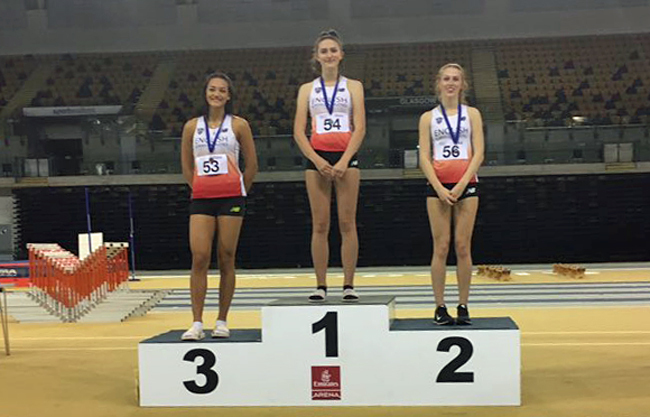 City of Plymouth athlete Emily Bee was crowned England under-17 indoor pentathlon champion, while her team-mate Sammie Harris finished fourth in Sheffield. 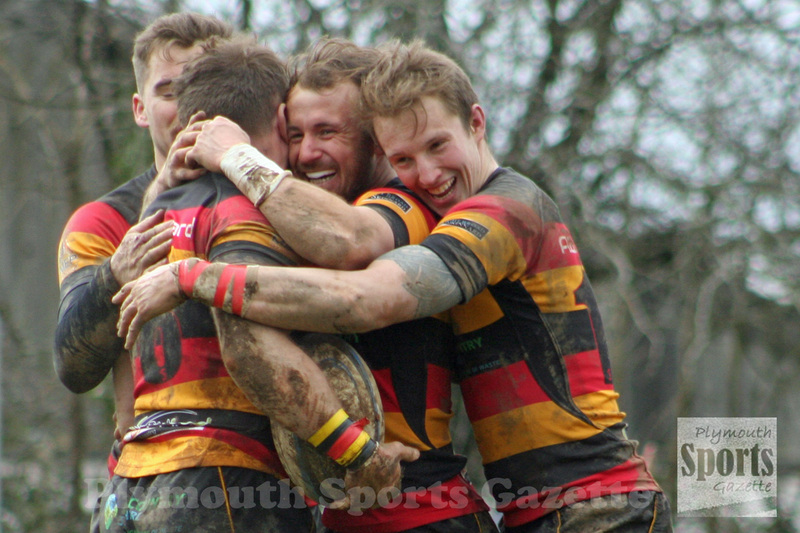 In rugby, Saltash secured a place in the RFU Senior Vase final at Twickenham by beating London Three South West title-chasers Old Cranleighans 31-15 in front of a bumper crowd at Moorlands Lane. Will Morton scored a hat-trick in the semi-final. 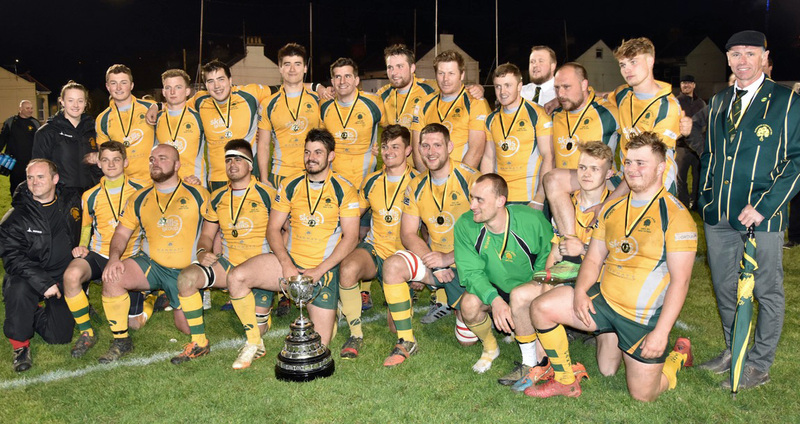 At the start of the month, the Ashes had destroyed Slough 73-22 at Keyham in quarter-finals of the competition on their way to their first Twickenham appearance. Elsewhere, local rugby players Mitch Pinkus, Jay Toogoog, Wes Vermingle, Ben Collins, Marcus Prout, Owen Garner and Lewis Swatton helped Devon Under-20s to a dramatic 28-27 win over Berkshire at Newton Abbot, which secured them a place in the County Championship Division Two quarter-finals, while Plymouth Albion’s hopes of promotion were all-but ended when they were narrowly beaten at home by Coventry. Tom Daley won silver medals in the three-metre mixed synchro event with Grace Reid at both the China and Japan legs of the FINA World Cup series. Meanwhile, Plymouth diver Victoria Vincent won a synchro three-metre gold medal for Great Britain at the 8 Nations Youth Meet in Kristiansand, Norway, while Matthew Dixon took victory at the GStar event in Leeds. In swimming, Plymouth Leander’s Laura Stephens and Tom Fannon and Mount Kelly’s Federico Burdisso won medals at the prestigious Edinburgh International Meet, which also incorporated the British Championships. Plymouth Swallows’ Ruby Stacey took second overall and won gold in the beam and bronze in the vault at the British Gymnastics Championships at the Echo Arena in Liverpool. ALL eyes in April were on the Commonwealth Games on the Gold Coast in Australia. Tom Daley, Matthew Dixon, Ben Proud and James Arnott all won medals for England at the Games. Dixon returned with two medals. He took silver in both the men’s individual platform event and the synchro competition. In the individual event he came so close to winning gold. He just lost out on his final dive by 0.80 points to home favourite Domonic Bedggood. 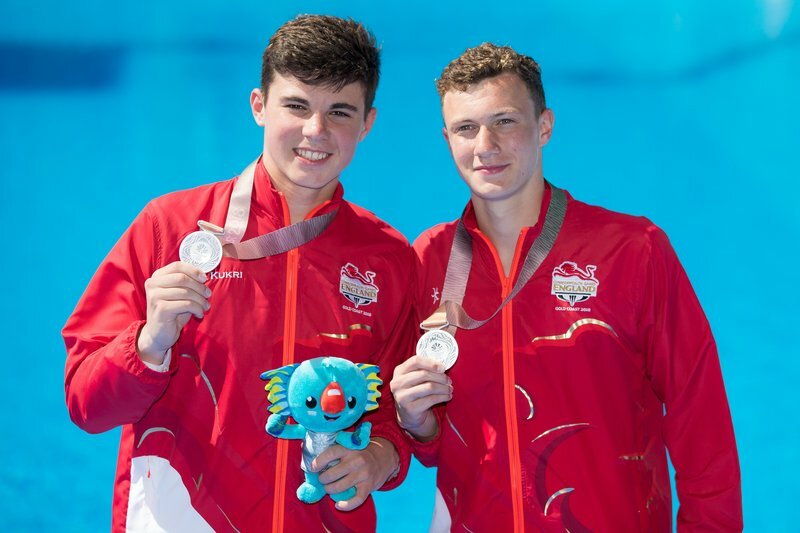 Plymouth team-mate Aidan Heslop, who was just 15 at the time and Wales’ first diving competitor for 20 years, also impressed in the final, finishing sixth. He also reached the springboard final. Dixon and his partner Noah Williams pushed Olympic medal winners Daley and Dan Goodfellow hard in the men’s synchro competition, with England taking first and second places. Swimmer Proud retained his 50m freestyle title, but there was disappointment for him in the butterfly event where he was disqualified for twitching on the starting block. He also won two relay silver medals for England. Leander’s Tom Fannon, Laura Stephens and Jessica Jackson also competed at the Commonwealth Games and then returned in time to help their club win the National Arena League Cup in Cardiff. Leander finished more than 80 points ahead second-placed Guildford in the prestigious team event, which includes swimmers from under-12 through to seniors. It was the eighth time the Devon club had won the title since 2008, but for the last two years they had to make do with runners-up. Track athlete Arnott took silver in the T47 100m at the Commonwealth Games in a time of 11.30 seconds, which was just 0.06 seconds of his lifetime best. The 21-year-old, a T46 athlete, was only beaten on the Gold Coast by T47 Nigerian Suwaibidu Galadima, who clocked a fast 11.04 seconds. Fellow City of Plymouth athlete David King missed out on reaching the final of the 110m hurdles after finishing fifth in this semi-final. 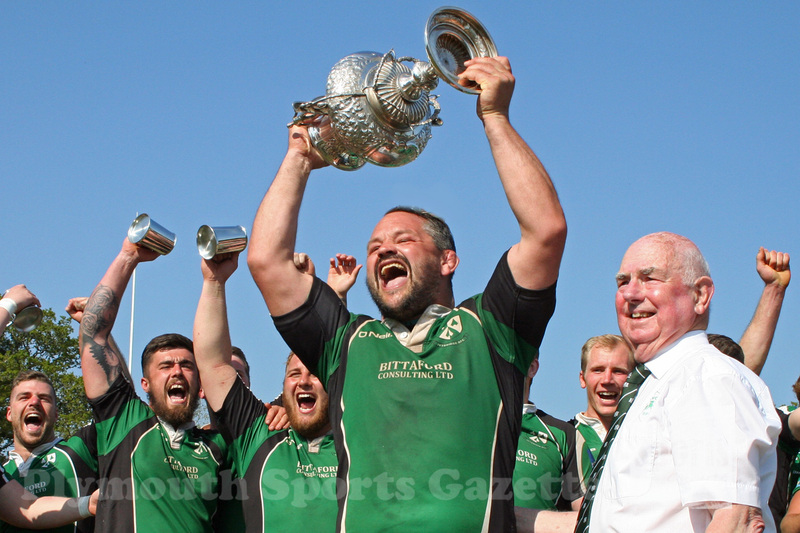 Plymstock Albion Oaks claimed the Lockie Cup by beating Devonport Services II 43-14 and they also won the Ellis Trophy with their second team beating Services’ III 22-7. Tavistock lifted the RNEC Cup by edging out OPMs 9-6, while Saltash IIs won a thrilling Pedrick Cup final 37-32 against Tavistock II. Ivybridge claim a nerve-wracking 28-24 win over champions Dings Crusaders in their final league match to secure their South West Premier status. The Life Centre again hosted a major diving event, with the British Elite Junior Championships returning to the Plymouth venue. Home divers Victoria Vincent, Zachery Anderson and Alfie Brown were among the individual title winners. Plymouth pentathletes Myles Pillage and Kerenza Bryson both impressed for Great Britain at the Milan Kadlec Memorial in Hungary. The pair claimed top 10 finishes at the international competition, with Pillage coming sixth in the men’s event and Bryson seventh in the women’s category. Pillage also won the men’s event at the 2018 British Modern Tetrathlon Championships held at Bath. Fellow Plymouth pentathlete Annabel Denton took silver in a strong under-19 girls’ event, which was doubling up as a ranking competition. City cyclists Helen Barron, Rosie Andrews and Oli Allen all claimed top 10 finishes at round four of the UK National Cross Country Series at Phoenix Bike Park in Suffolk. Plymouth Parkway won the South West Peninsula League Premier Division and were promoted to the Western League Premier. PLYMOUTH Argyle just missed out on reaching the League One play-offs after defeats to Scunthorpe and Gillingham in their final two matches. It meant they finished seventh – one place and three points off the play-offs. However, Argyle Ladies’ team were successful in winning promotion after claiming the FA Women’s Premier League South West Division One title. They also won the Devon Cup for a 12th time. 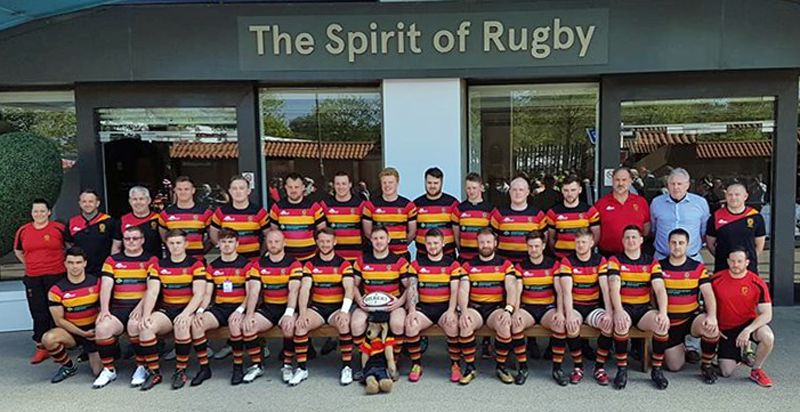 Saltash suffered disappointment on their first trip to Twickenham after they narrowly lost 22-18 to Wath-upon-Dearne in the final of the RFU Senior Vase. But there was joy for Ivybridge who ended their season on a high by winning the Devon Senior Cup for the first time in their history. The Bridgers beat South West Premier League rivals Exmouth 38-31 in an entertaining final at Cross-in-Hand. Plymouth Albion ended their campaign with rearranged home victories over Rosslyn Park and Loughborough in May. Later in the month, Ivybridge’s Mitch Pinkus kicked a long-range last-gasp penalty to give England Counties Under-20s a 24-22 win over a Georgia Under-20 side in Rustavi. Plymouth College swimmer Tegan Drew returned with three medals from the ISF World Summer School Games in Morocco. Drew claimed silver medals in the 50m and 100m backstroke events and also helped England to a bronze in the women’s 4x100m medley relay. Plymouth’s international hurdler David King took third place with a season’s best at the European Athletic Festival in Bydgoszcz, Poland. He also took second place at the Manchester Great CityGames, where he beat world indoor champion Andy Pozzi and also America’s 2012 Olympic champion Aries Merritt. Emily Bee and Oliver Smart both broke track championship records on their way to claiming gold medals at the Devon County Athletic Championships at Exeter Arena. There were also field records for Tavistock’s Ben Pitts and Nicolas Maczugowski. 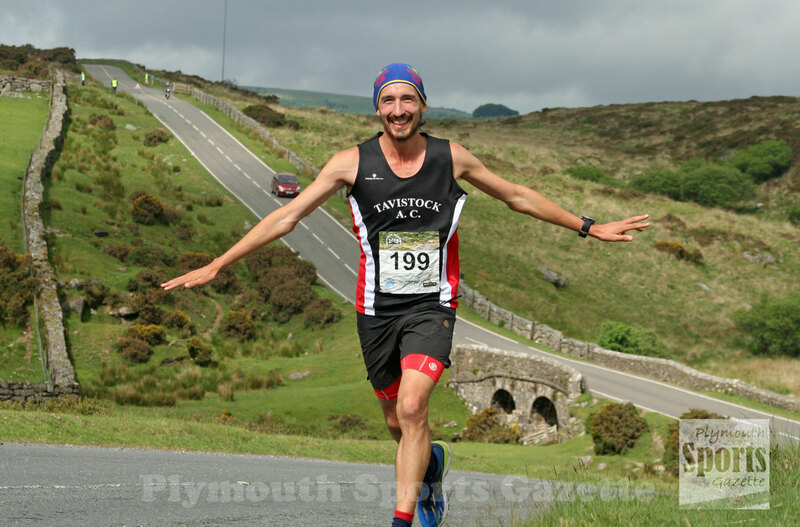 Tavistock Run Project’s Ben Neale claimed victory in the Plymouth Half Marathon in 1:13.12, with former winner Kairn Stone second in 1:13.53. The event saw nearly 3,500 runners complete the 13.1 mile run. Pilgrim Flyers mountain bike racers impressed at the Southern Cross Country event at Crow Hill in the New Forest with Oli Allen, Helen Barron and Rosie Andrews all claiming category victories. Plymouth College’s Emily Pascoe became the youngest ever English Open 25m (air) sport pistol champion. The 14-year-old won the title at the Lord Roberts Centre in Bisley. Annabel Denton claimed her first major gold medal with victory at the Under-19 International Modern Pentathlon Trophy in Portugal. PLYMOUTH Diving’s Victoria Vincent and Aidan Heslop won medals at the European Junior Championships in Helsinki. Vincent took silver in the girls’ three-metre synchro final and a bronze in the mixed team event, while Heslop picked up a bronze with Lucas Thomson in the boys’ synchro platform final. Fellow city diver Matthew Dixon showed he could match it with the best senior divers on the planet with an encouraging debut at the FINA World Cup in China. The 18-year-old reached the finals of both the individual men’s 10m and synchro events in Wuhan. Ben Proud set the swimming world alight with a sensational performance at the Sette Colli Meet in Italy. Proud smashed his own British record and the Commonwealth record to win the men’s 50m freestyle event in a time of 21.16 seconds. Only three swimmers – Brazilian world record holder Cesar Cielo, France’s Fred Bousquet and current world champion Caeleb Dressel – had ever gone faster in history and only one in a textile suit. Caradon Swimming Club picked up an impressive 26 medals – 20 individual and six in relay events – and broke a number of Cornwall county records at British Masters Championships at the Life Centre. Emily Bee enjoyed another good month with titles and records at the South West Schools’ Combined Events Championships and in the under-17 hurdles at the South West Championships. Tamar Trotters’ Wilsmore set a new 1,500m personal best at the Memorial Leon Buyle Meet in Oordegem, Belgium. 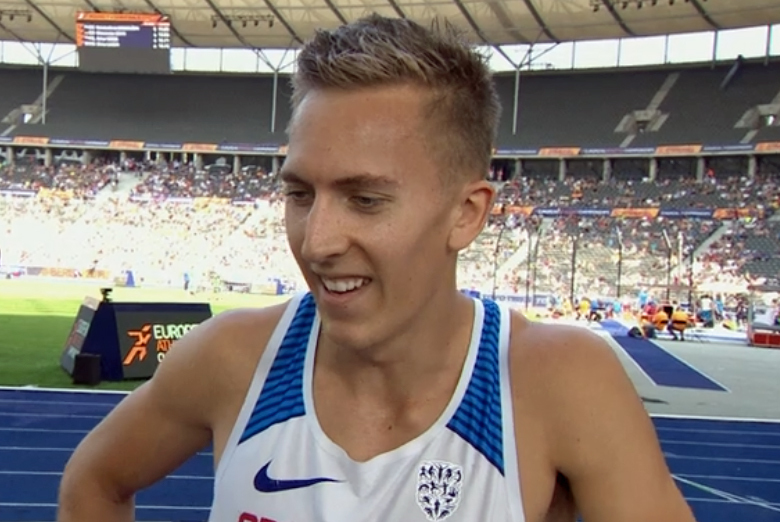 Wilsmore finished second in an impressive time of 3:40.92, which put him in the top 10 for the UK rankings and was two-and-a-half seconds faster than he had previously run outdoors. 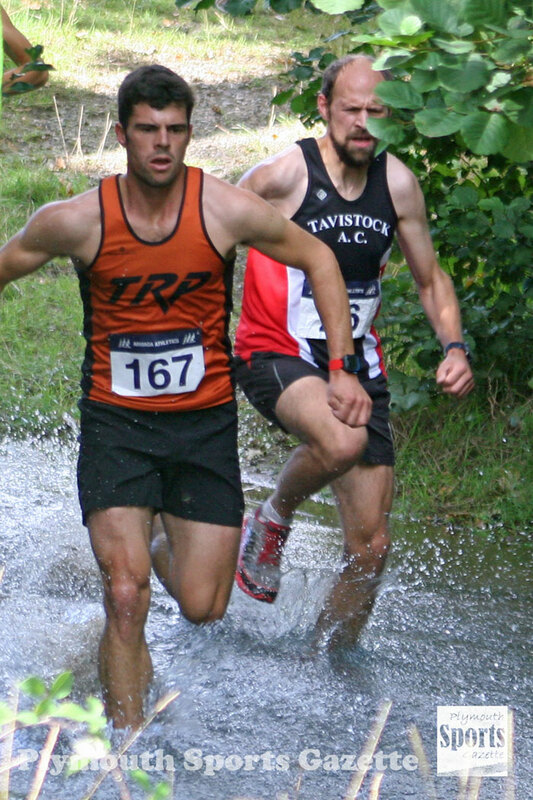 Tavistock’s ultra marathon specialist Adam Holland retained the Dartmoor Discovery title. Holland finished well ahead of the rest of the field in the 20th anniversary of one of Britain’s toughest road races. Pentathlete Myles Pillage claimed a Junior European Championship medal in Barcelona. He and his Great Britain team-mate Bradley Sutton took bronze in the men’s relay event. Meanwhile, Annabel Denton produced an impressive performance to finish eighth at the Under-19 European Championships in Poland. The 14-year-old was making her debut at the competition and was one of the youngest athletes in the field. PLYMOUTH College’s Ben Andrews won an individual silver medal at the Commonwealth Cadet Fencing Championships in Newcastle. 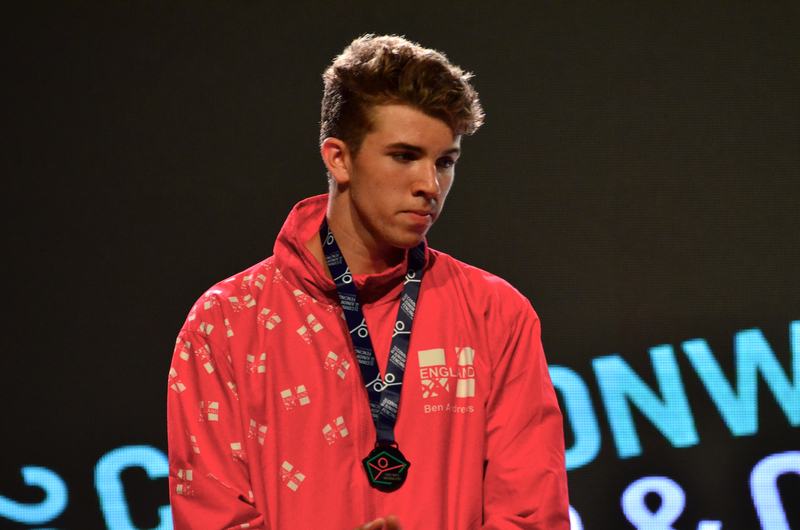 Andrews claimed his podium place in the men’s epee competition. 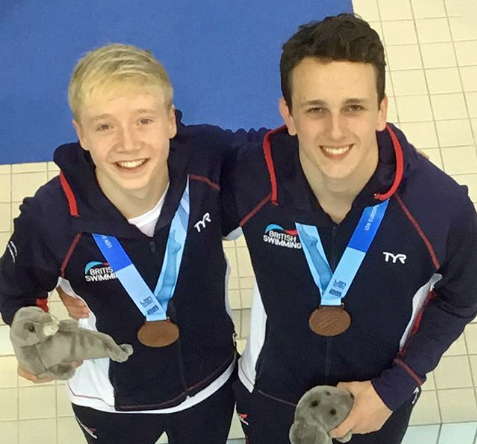 Matthew Dixon secured a silver medal with Great Britain partner Noah Williams at the World Junior Diving Championships in Kiev. He just missed out on an individual medal. He was in second place going into the final round but just could not nail his final dive had had to settle for fifth in a close event. 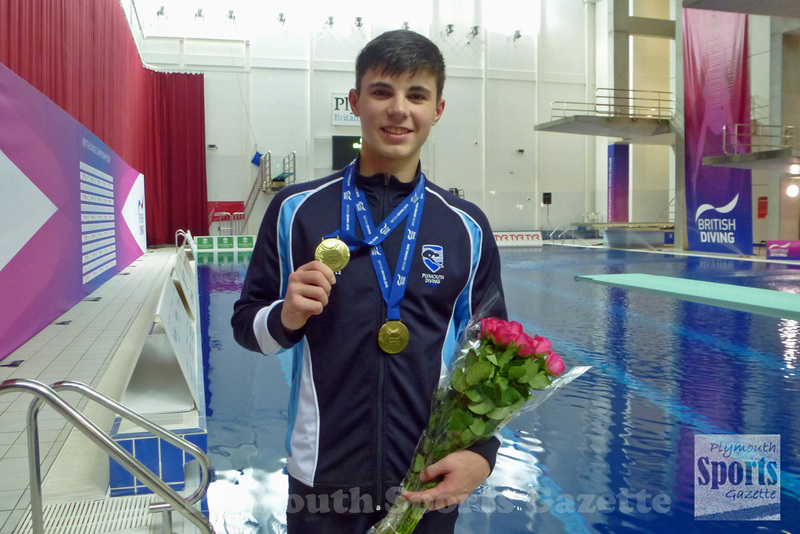 Fellow Plymouth diver Aidan Heslop claimed another international medal by winning bronze at the FINA Grand Prix in Madrid. Mouth Kelly College’s Federico Burdisso won four medals at the European Junior Swimming Championships for Italy in Helsinki. He took silver in the 200m butterfly and bronze in the 100m butterfly, while also winning a silver and bronze in the relay events. Plymouth Leander’s Laura Stephens claimed six medals and three titles at the British Summer Swimming Championships in Sheffield. Dartmoor Darts’ youngster Cameron Williams also impressed at the championships, claiming a hat-trick of age group breaststroke titles and a new British record. 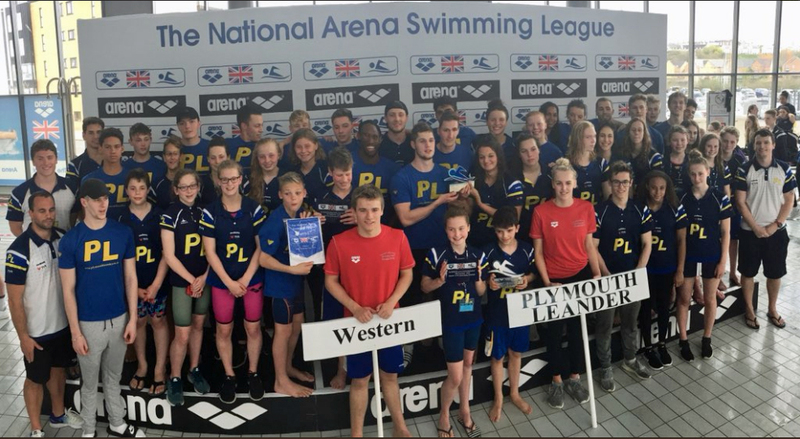 Plymouth Leander’s Honey Osrin also won three gold medals as her club enjoyed a successful meet, while Devonport Royal also made the podium in Sheffield through Aiden Symons-Brown. City of Plymouth’s Emily Bee produced a tremendous run to claim victory at the SIAB International at Grangemouth in Scotland. Bee ran a new personal best and UK leading time of 11.02 seconds to win the 80m hurdles for England. She had won silver at the English Schools’ Championship earlier that month. Her club colleague Sammie Harris unfortunately broke her arm in a fall in the English Schools’ final, which ended her season early. David King secured his place at the European Athletics Championships in Berlin by finishing second at the British trials. King, who had already run the qualifying time, took runners-up spot behind world indoor champion Andy Pozzi in the men’s 110m hurdles at Birmingham’s Alexander Stadium. Tavistock athlete Sam Lake won a bronze medal at ITU Aquathlon World Championships in Denmark. Lake finished third in the women’s 40-44 age group category on the island of Fyn. 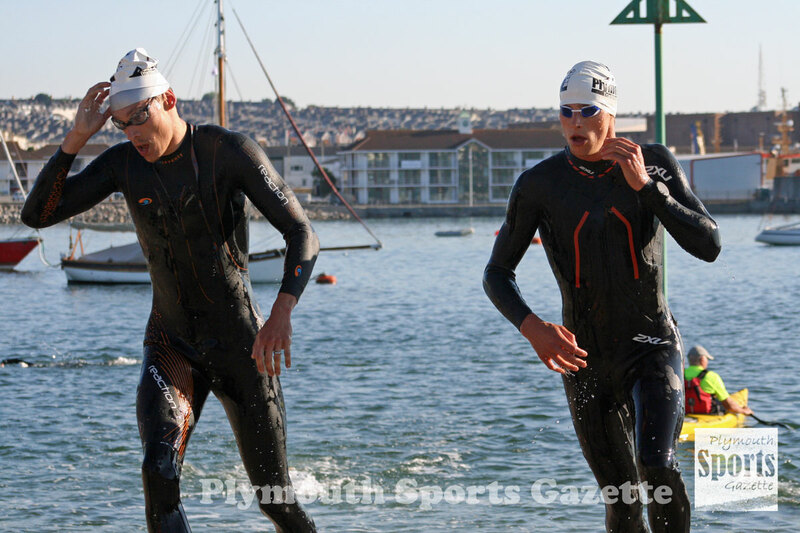 The Plymouth Triathlon returned after a three-year absence with North Devon’s Jack Hutchens holding off the challenge of city teacher Robert Shaw to take victory. Alex Pillage was third. Shaw had won the Bustinskin Weymouth Middle Distance Triathlon earlier that month. Paul James was appointed as Plymouth Raiders’ new head coach on a three-year deal after Gavin Love stepped down. 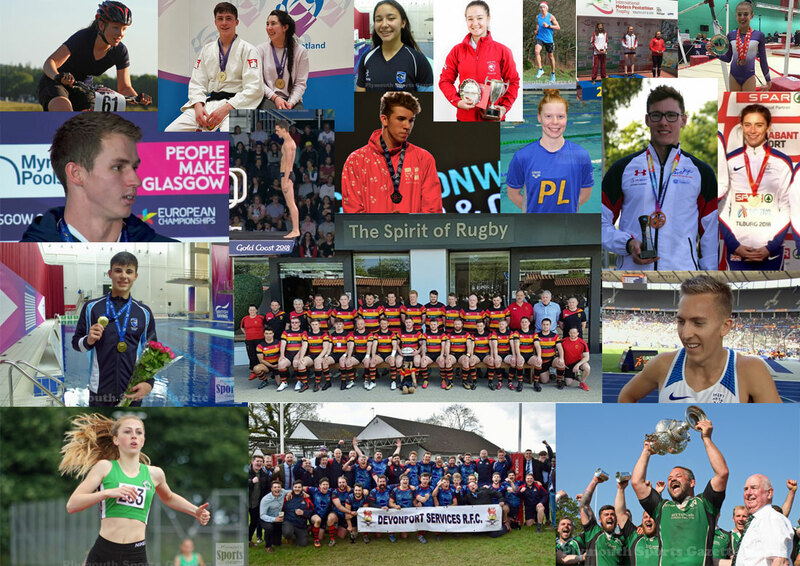 EUROPEAN Championship events in Glasgow and Berlin dominated the month of August. 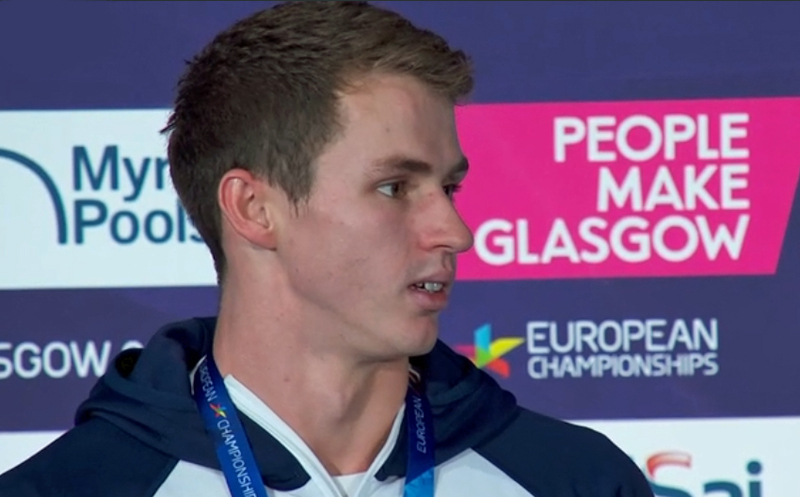 Ben Proud won his first European title at Glasgow’s Tollcross Pool. 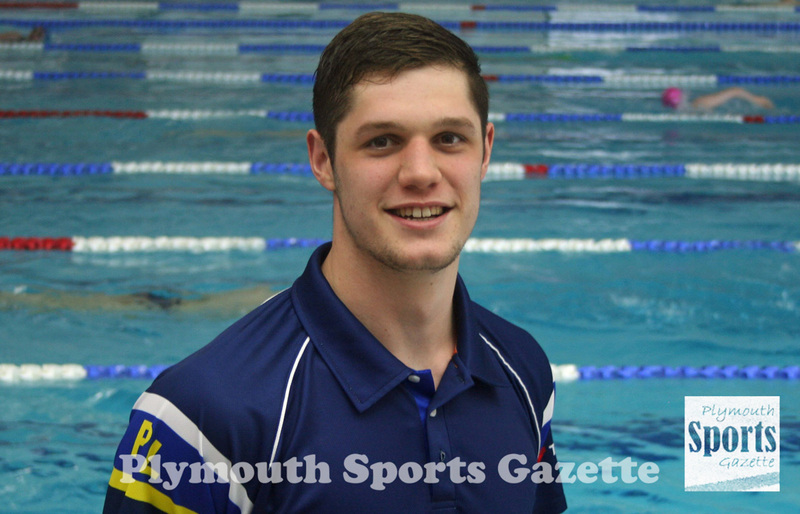 The Plymouth Leander swimmer took victory in the men’s 50m freestyle final. He had broken the championship, British and Commonwealth record in the semi-finals. He also won silver in the 50m butterfly event. Mount Kelly College pupil Federico Burdisso made his mark at senior international level by winning a bronze medal at the European Championships. The 16-year-old, competing for Italy, smashed his lifetime best to make the podium in the 200m butterfly event with a 1:55.97 swim, which was not only a new personal best but also a new Italian junior record. Former Plymouth College pupil Ruta Meilutyte, who famously won an Olympic gold medal as a 15-year-old at London 2012, took silver in the women’s 100m breaststroke final. 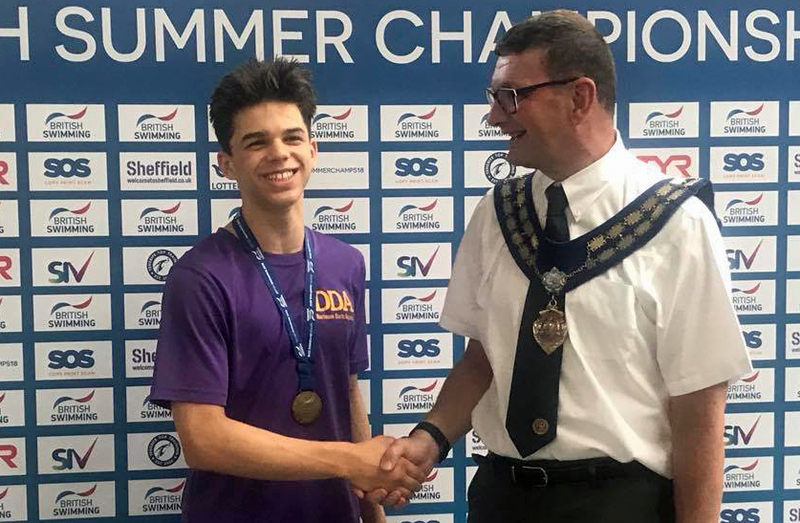 Also in swimming, Mount Kelly, Plymouth Leander, Dartmoor Darts and Devonport Royal all won medals at the Swim England Summer Meet in Sheffield. 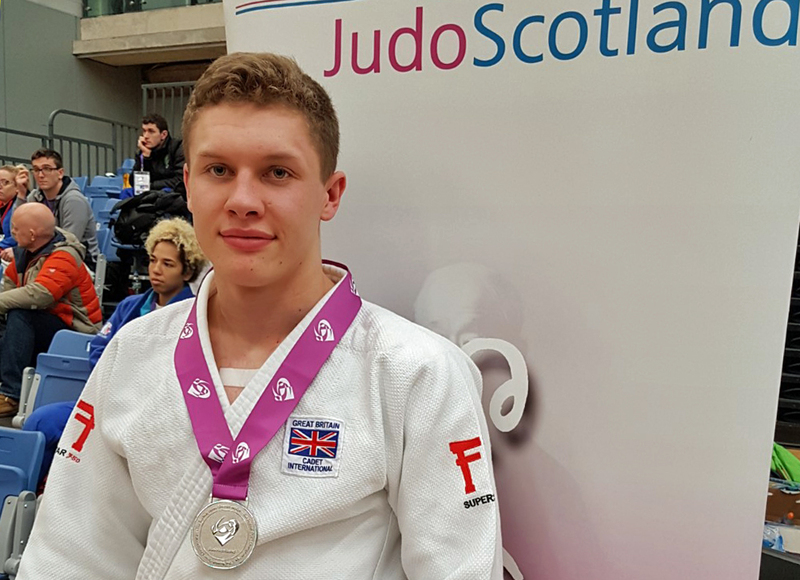 Plymouth’s Matthew Dixon continued his good year by winning a silver medal at the European Championships in Scotland. Dixon and his partner Noah Williams made the podium in the men’s platform synchro event and Dixon then finished sixth in the individual final. James Arnott had to settle for two fourth places at the Para-Athletics European Championship in Berlin. He missed out on a medal by just 0.01 of a second in the T47 100m. David King made it to the semi-finals of the 110m hurdles at the European Championship, where he ran a season’s best time of 13.55 seconds. He was just one tenth of a second off making the final in Berlin. Later that month he lowered his season’s best in the final of the 110m hurdles at the IAAF Diamond League meeting at Birmingham. Bee added another national medal to her collection. She took silver in the girls’ 80m hurdles event at a wet and windy England Under-17 Championships at Bedford, while Mike Wilsmore finished third in the 1,500m at the Manchester International Meet. Plymouth College’s director of modern pentathlon and fencing Robert Flack won his age category at the tough 70.3 Dun Laoghaire Ironman 70.3 event. Closer to home Robert Shaw took second place at the Weymouth Classic Triathlon. Pentathlete Myles Pillage came 20th in the individual event at Junior World Championship in the Czech Republic and fifth with Bradley Sutton in the men’s relay. Pilgrim Flyers’ Helen Barron claimed a top three finish overall in the HSBC UK National Cross Country Series. She ended the five-race series by taking third in the junior female race at Builth Wells in Wales. That secured her bronze overall in the series. Mayflower Offshore Rowing Club enjoyed success at the inaugural Commonwealth Beach Sprints and British Coastal Rowing Championships. James Lovering was selected to represent England in the new Commonwealth Beach Sprints competition and picked up two bronze medals at the event in the men’s double and relay race. At British Championship, held at the same venue, Mayflower’s women returned with two gold medals. Fiona Carmichael successfully defended her women’s single sculls title, while the Plymouth club dominated the coastal women’s coxed quad. Plymouth Argyle made a losing start to their 2018-19 League One campaign with a 2-1 defeat at Walsall. THE RFU’s first artificial grass pitch in Devon and Cornwall was opened at Ivybridge RFC, who marked the opening with victory over Camborne. 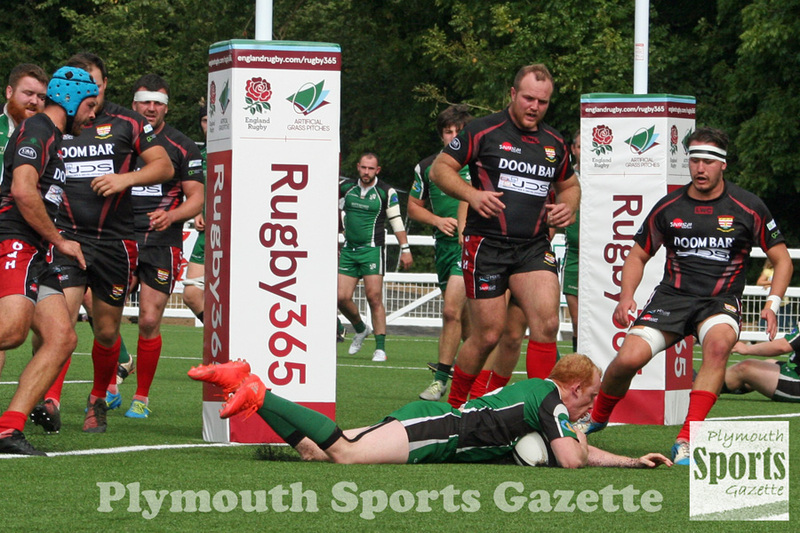 Plymouth Albion kicked off their new season with a home defeat to new boys Chinnor, but there were opening day league wins for Plymstock Albion Oaks, who shocked Penryn, Plymouth Argaum and Old Techs. Plymouth Basketball celebrated their 60th anniversary with a weekend of events at the start of the month. Pentathlete Myles Pillage reached the individual final and won a team silver medal at the UIPM World Championships in Mexico. Fencer Ben Andrews won the British Fencing National Championships under-20 title in Nottingham. Tavistock’s Adam Holland set a new personal best on his way to second place in the Loch Ness Marathon, while triathlete Ken Holder claimed gold in his age category at the ETU Challenge Long Distance Triathlon Championships in Madrid. Ben Neale and Sam Lake were victorious at the Armada Autumn Trail run at Newnham Park, while Oliver Smart ran the second fastest 5k for an under-17 in Britain at the Yeovil Town Road Race Series. City of Plymouth Club enjoyed success at the British Trampolining, Tumbling and DMT Championships in Birmingham, while Plymstock School’s judo star Max Gregory was selected to attend a GB Futures Camp in Tokyo. MOUNT Kelly College swimmer Federico Burdisso returned to Devon with three bronze medals from the Youth Olympics in Buenos Aires. 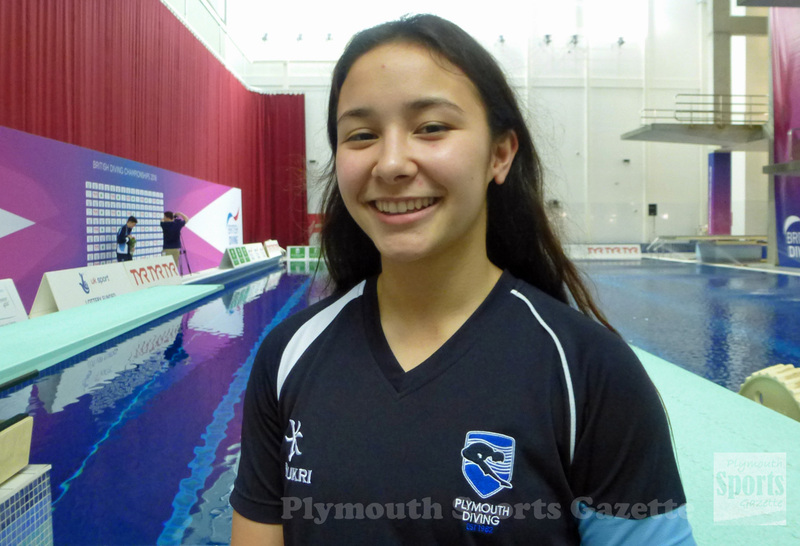 Plymouth College pentathlete Annabel Denton also impressed at the Youth Olympics in Argentina. 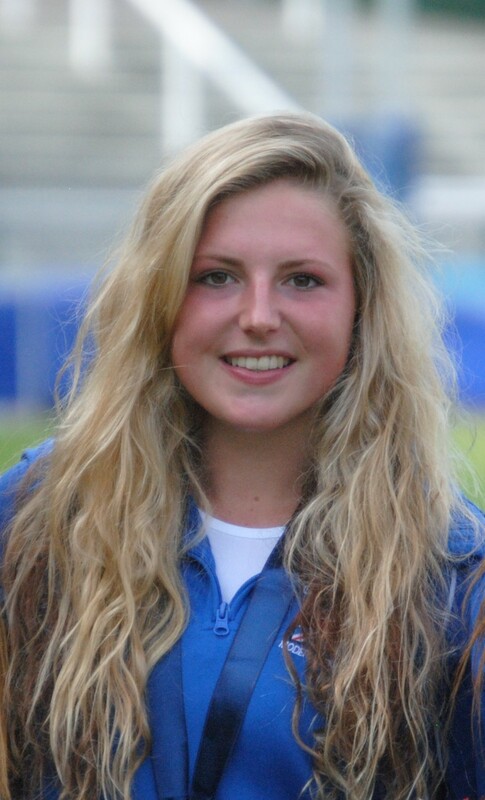 At just 15 years of age, Denton was the youngest competitor in the women’s modern pentathlon field, but she impressed for Great Britain by finishing eight in the individual event and fifth in the mixed team competition. 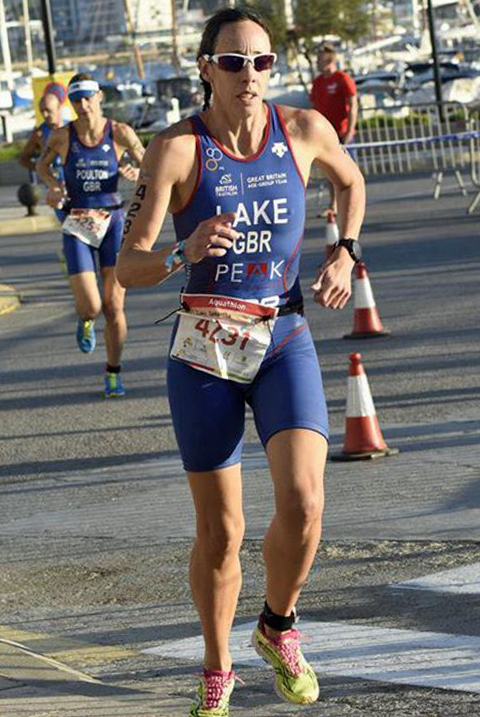 Tavistock AC athletes Sam Lake and Helen Kula-Przezwanksi both won age group medals at the 2018 ETU Aquathlon European Championships in Ibiza. Lake also medalled at the ETU Middle Distance Triathlon Championships held at the same venue. Triathlete Travis Bramley finished fourth in the junior men’s race at the international Super League Triathlon in Jersey. 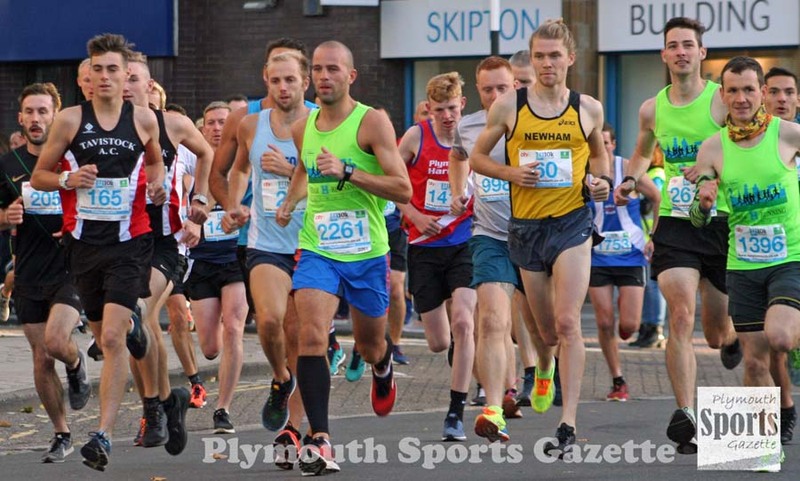 Newnham’s Josh Trignell claimed victory in the popular Plymouth 10k, with Marie Faithful finishing as first women. 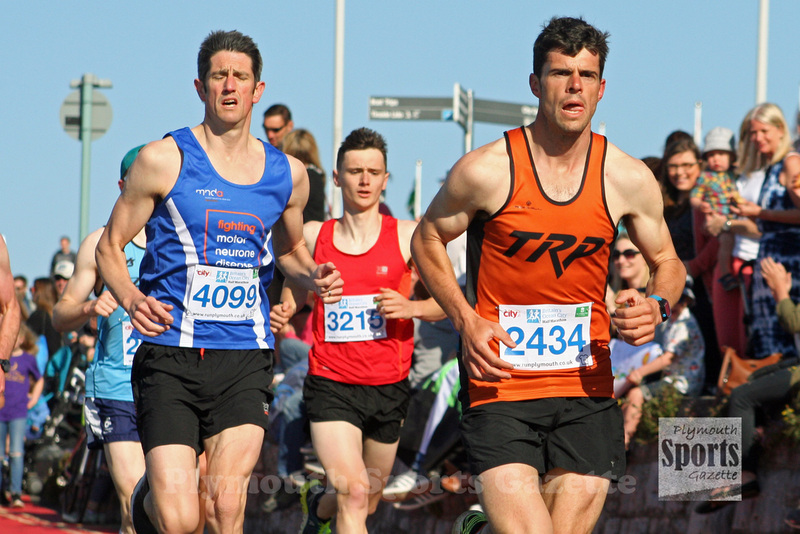 Jordan Andrews retained the Tavy 7 title, winning by more than two minutes in windy conditions. Torpoint table tennis star David Wetherill represented Great Britain at the World Para Championships in Slovenia, while Plymouth Diving enjoyed a highly-successful trip to Dublin to compete in Irish Open Championships. The Life Centre-based club returned home with a staggering 28 medals across all the different age categories. Plymouth Argyle finally claimed their first league win of the season with a 1-0 home victory over AFC Wimbledon. They also beat Gillingham and Scunthorpe in the league that month. PLYMOUTH’S Poppy Tank secured a place in the Great Britain squad for the European Cross Country Championships in The Netherlands after finishing as second under-23 athlete at the trials in Liverpool. City of Plymouth athlete Emily Bee won an individual silver medal and team gold for England at the SIAB International Multi Events Championships in Glasgow. Heather Knight captained England to the final of the ICC Women’s World Twenty20 final, where they were beaten by Australia. Fellow Plymouth cricketer Lewis Gregory skippered England Lions in their ODI series against Pakistan A.
Plymouth rugby star Henry Slade featured in all England’s autumn internationals, helping them to victories over South Africa, Japan and Australia. 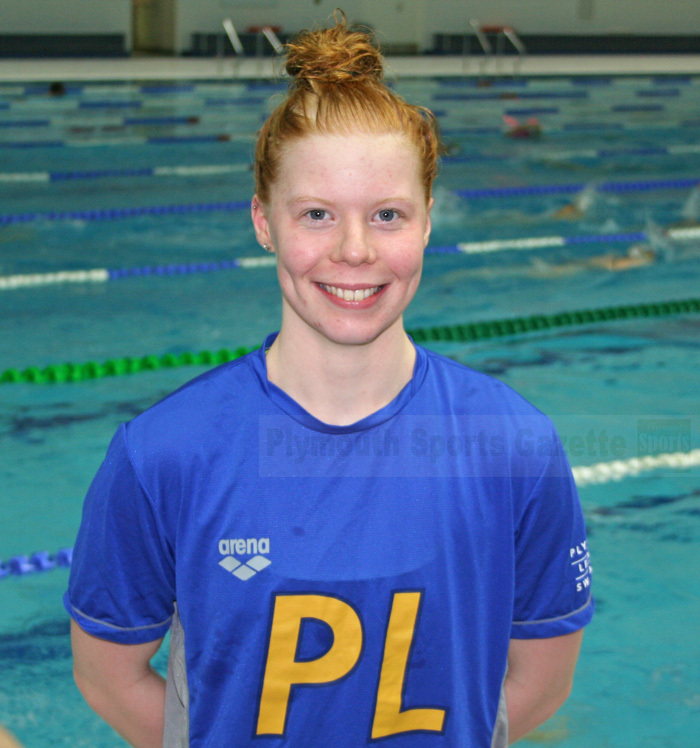 Leander’s Laura Stephens won a gold medal at the BUCS Short Course Swimming Championships at Ponds Forge. She stormed to victory in the women’s 200m butterfly in Sheffield, winning by nearly three seconds. She and Mount Kelly Mount Kelly College’s Italian star Federico Burdisso were also among the big names to impress at the South West Winter Swimming Championships at Millfield. At the end of the month, Plymouth’s top divers enjoyed a successful trip north of the border to take part in the Scottish National and Open Championships at the Royal Commonwealth Pool in Edinburgh. They returned home with 16 medals, while the event saw world champion Tom Daley make a winning return to competitive diving after a spell out due to injury and for the birth of his son. Mount Kelly Foundation’s Matilda Purnell claimed the under-11 girls’ title at the British Modern Biathlon Championships in Leeds, while there was a bronze medal for Plymouth College’s Chloe Olford in the under-19 girls’ category. DECEMBER was a big month for swimming with events going on at both national and international level. Plymouth Leander’s Reece Dunn enjoyed a tremendous debut at the National Para-Swimming Championships in Manchester. The 23-year-old, competing in the S14 class, won three gold medals, smashed two national records and beat an Paralympic silver medallist. Mount Kelly’s Alexander Hobbs, Sebastian Williams and Benjamin Grainger and Devonport Royal’s Xander Harris and Abigail Daly also returned with medals from the Championships. Leander, Mount Kelly and Dartmoor Darts all won medals at the National Winter Swimming Championships in Sheffield. Leander’s Laura Stephens produced a world class swim to win the women’s 200m butterfly title in a personal best time of 2:04.94. She also won five more medals at the championships, while Dartmoor Darts’ Cameron Williams broke the British junior record in the 50m breaststroke event. Leander’s Sophie Freeman was another athlete to impress at junior level, while Tom Beeley medalled in Sheffield having also medalled at the Scottish National Short Course Open Championships in Edinburgh earlier that month. European and Commonwealth Games 50m freestyle champion Ben Proud missed out on a World Short Course Championship medal after he was disqualified in the final for again twitching on the start block. It was the second time in 12 months that had happened to him having also suffered the same fate in the 50m butterfly event at the Commonwealth Games. 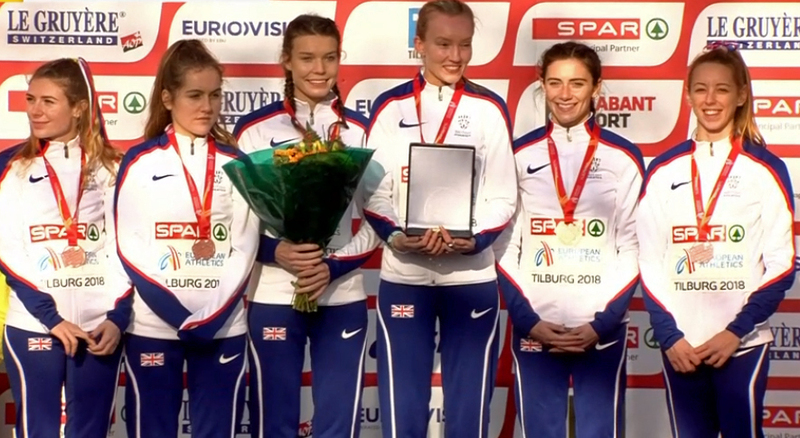 City of Plymouth athlete Poppy Tank claimed a top 10 finish and a team bronze medal on her Great Britain debut at the European Cross Country Championships in The Netherlands. Tank produced an impressive display in the women’s under-23 race at the Beekse Safari Park in Tilburg. She led the race for a spell before finishing ninth and second Brit. Tavistock AC’s Nicolas Maczugowski claimed three gold medals at the South West Indoor Age Group Athletics Championships. 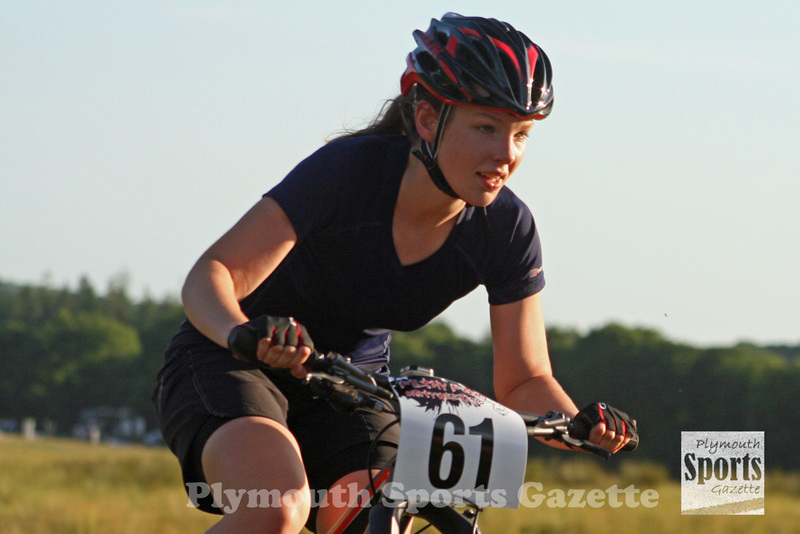 In cycling, Pilgrim Flyers’ Rosie Andrews won the under-16 girls’ title at the South West Regional Cyclo-Cross Championships, while Tavistock’s Emma Luckham was first under-14 girl and team-mate Orla White was first under-10 girl. Plymouth Raiders enjoyed an unbeaten month with victories over Bristol Flyers, Surrey Scorchers, London City Royals and Cheshire Phoenix. After a poor start to the season, which saw them win just four of their opening 13 games, Plymouth Albion ended the year on a high with three consecutive victories over Esher, Loughborough and Sale. Plymouth Argyle were knocked out of the FA Cup, losing 2-1 at home to Oxford United. Their only win in December was a 2-1 victory at Rochdale.